Gosh, how quiet Blogland is as we all hunker down to work on our cards! How are you doing with yours? Over here it's been a week of interruptus and I need that right now like I need a bee in my bloomers. Some weeks are like that. That's why God invented potatoes. And people smart enough to turn potatoes into wodka. And, no, I hadn't been in the wodka before I fell. Yes, more uber QACAS! This NBUS stamp from The Ton is so gorgeous simply heat-embossed. The sediment is from Stamping All Day. Double Trouble and Three Amigos: Any kind of embossing. Lost Coast Portal to Creativity: Cold and frosty. This NBUS image and sediment are from the "Botanical Blocks IV" set from Papertrey Inc. I made a big batch of these in several colors, but I didn't get a chance to photograph them together because they were sent off as fast as they cooled off! Thank you for the inspiration, Cat! These cards were heat-embossed in platinum. It's simple, but very shiny and lovely in person. Sorry for the over-exposure. For some reason this card looked yellow and it's pure white so I brightened it. I took these photos inside on a cloudy day and it's the best I could do what with being gimpy and all. 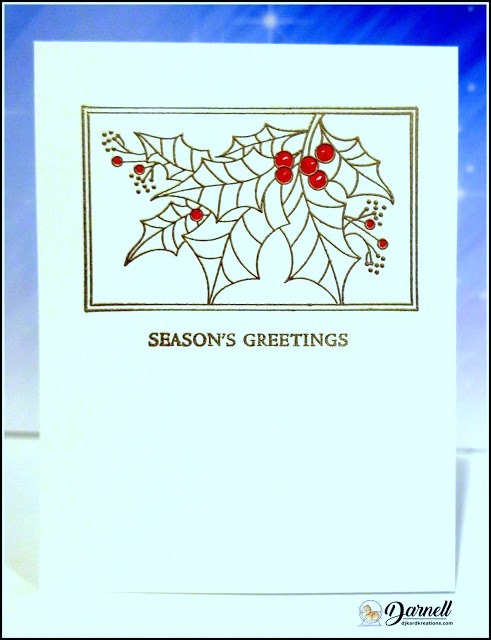 CAS on Friday: Make a Christmas card. Less Is More: OLC Holiday. Hi Darnell, By heck you had a busy few days. Uf, busy days ... I am totally amazed how you managed to do so many stunning cards in such sort time, it never happens to me.. I love The Ton stamps! And you have sent all the cards yet, wow :). Oh I am so sorry you had a slip. I hope you are feeling better and not sore or bruised. What a card-a-palooza you've got going there. Fabulous cards. I love what you did with the embossing on your The Ton stamp. It is gorgeous. Thanks too for the shout out. It was a day of great minds. Hugs and feel better soon if you aren't already. Hugs. 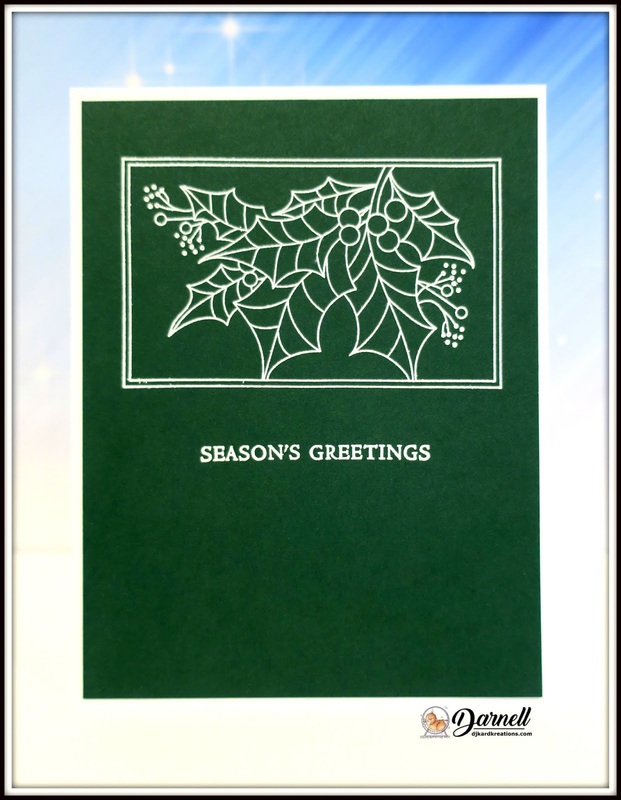 Take care - Happy Holiday card making sessions! Oh Darnell, what a week!! No wonder you took to the Wodka... I hope Hammy was well clear when you slipped.... and I hope he has been helping you with all that embossing powder. What a few days you've had Darnell, hope all is well now. Darnell, I am SO sorry to hear of your rough week and one that culminated in your getting hurt. Argh! I hope you feel better soon. That is so not fun during the busiest time of the year. You created a bevy of beautiful cards, though! They images are so detailed and they look gorgeous heat embossed. Thank you so much for sharing. Sorry to hear about your fall, hope you feel better soon. Your cards are gorgeous!! Ants and falls and all kinds of disasters. Yikes! I hope your body isn't suffering. Sometimes the next few days are the worst. I hope your torso and extremities are not so sore today, Dolly! Ouch! So glad it didn't stop you from creating fantastic Christmas cards. The frame of poinsettias is gorgeous in every color and I love the simplicity of the framed holly both ways. Hmmm, I think I may need to add that holly to my wish list. Be careful my friend. the embossing. The "Batchin" cards are awesome, almost the same but not quite!!! Oh Darnell what can I say, hope you've recovered from your fall you've certainly had a WEEK! Despite you ups and down you've managed to produce some beautiful cards. I've just posted the last of mine so the Christmas 'stuff' can be put away..
Fabulous cards - you've certainly been very busy! Thank you too for my lovely card and all the 'Peace and Joy'! Sorry about the fall, but you are tough and will recover soon. Ok, I am stupid and I give up. What does QACAS stand for? CAS is clean and simple, but cannot figure out the QA. I am not from the south but I believe "Bless your hear" might be appropriate here. It is amazing you got anything done. Love both design cards. All that border design is just scrumptous. oops forgot to say thanks for joining Time Out too! So sorry to hear about your week. May the next one be much better!! 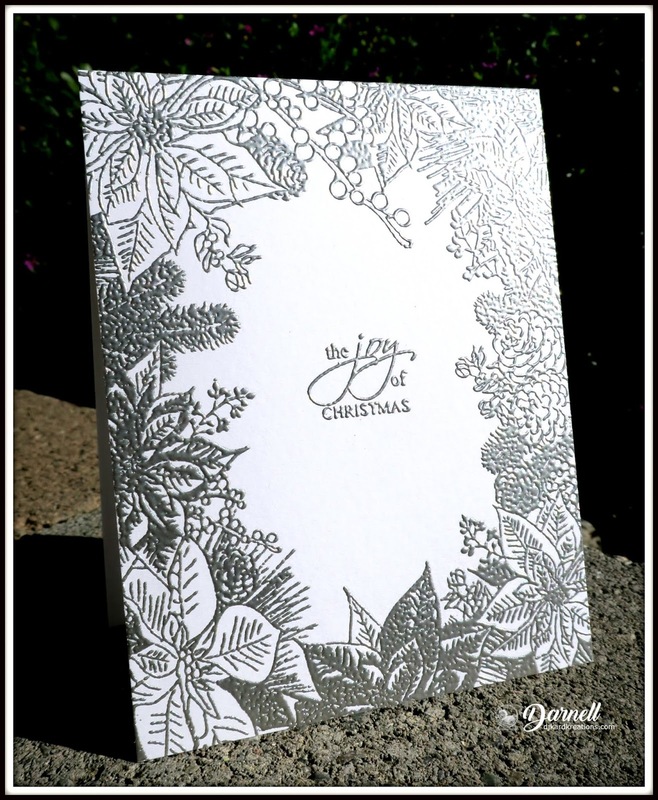 BTW, love your cards and just had to order that botanical block stamp. Thanks, friend. :-) Hugs to you. What an amazing batch of cards - incredible productivity on your part! 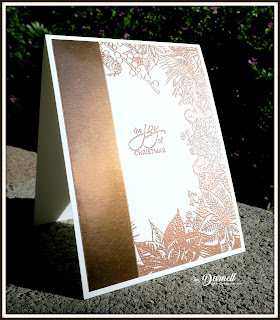 Lovely colours of cardstock and embossing powders! Holy cow, these may be QACAS, but they're absolutely gorgeous. 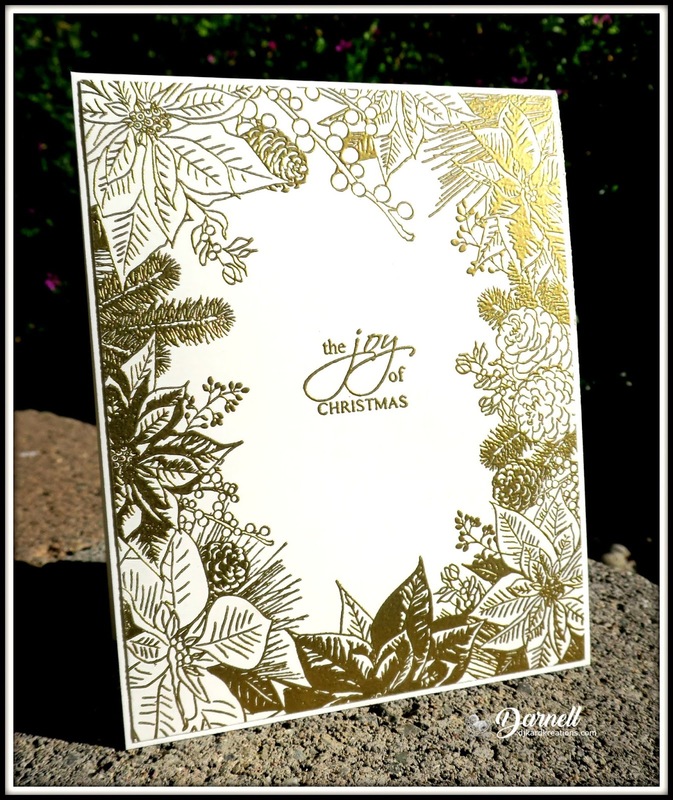 All those different colors of card stock and embossing powders -- wow! What a week you've been having. One apostrophe after another! I hope all your wrenched parts feel better soon! Gorgeous image from THE TON for making batch cards Dolly! 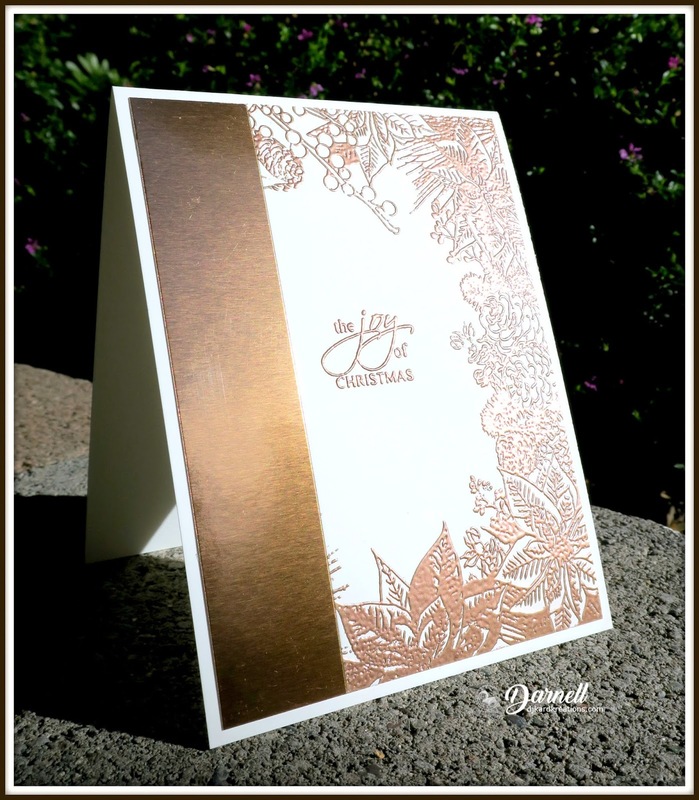 The image looks amazing in all the different colours of card and colours of embossing powder. I bet you were devastated when you found the two sheets of labels ... uggghhh! Hopefully you are all finished with your mailing now and you can be smug because many of us are still finishing up. OH my goodness - what a week!! I sure hope you are all better very soon. What a shock to realize you have lots more cards to make. But, your cards are all so very beautiful!! I love them all. Good luck! Hope you are feeling better. Stay safe. Loving the cards! So elegant! Wow, you have had a very hectic and busy week. Sure hope you are doing o.k. after your fall. All of your cards are gorgeous. Love them all. Thanks for sharing and take care. WOW, what a beautiful set of Christmas cards, Darnell! 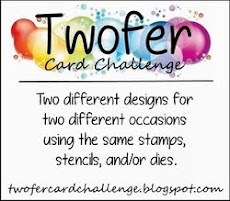 I want to be just like your crafty self when I grow up ;-) Making several cards from one stamp/design in different colors=genius! I like your CAS cards with Botanical Block, also. PS: Hope you are healing from your fall and also hope this week is going to go smoother for you! My words, what a week, hope your extremities are feeling better and your torso too. The first set of card are totally stunning, beautiful images and gorgeous embossing and your QACAS are also fabulous, more simple but equally effective. Your card arrived today, thank you so much it is lovely. You know, you did the week backwards. If you HAD to fall you could have fallen on the ants and left the faucet run long enough to wash them away and you would have been done all in one fell swoop. (so to speak). I hope you are okay and the soreness is gone. Your cards are beautiful. I love that stamp from the TON and it made gorgeous cards in all different colors. I like simple and they sure fit the bill. The second design is lovely and quick too. Great job. Hugs and healing. You've done a great job with heat embossing, Darnell. Wonderfull cards in different colours and really amazing christmas motiv. The last two cards are my favourites. Simply wonderfull! What a great batch of Christmas cards! 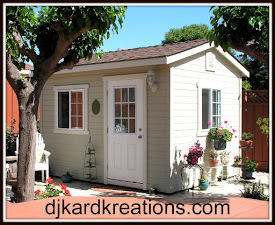 Thank you for joining in on the Lost Coast Designs Portal to Creativity Blog Challenge! Well, look at you knocking out tons of fabulous cards while attending to household difficulties. Geez, you've really had a week, haven't you. I hope you aren't to damaged by you fall and that it's getting better between the ants and drips and whatever else life is throwing at you. It doesn't appear that it held back your creativity, at all. Sorry to hear you had such a rough week. I hope you are feeling better. Your embossed cards (both styles!) are great! It's awesome when you can come up with designs that can be duplicated fairly quickly and easily and that still look amazing!! Beautiful CAS Cards and such pretty foliage. I hope your twinges get better soon. So sorry you've had such a rough week, but your cards are all wonderful! Hope you recover quickly from your fall. I know when I go crashing down, the first thing I think is, "Geez, I hope no one saw that!!!" And that's only because I know what a big, dumb dufus I look like when I tumble. I haven't actually fallen for quite a while now (fingers crossed and knock on wood), and I'm hoping to maintain that winning stretch for the rest of the season. Geeze - it's sounds like you had a heck of a week. Hope things are better now. Thankfully you didn't break any part of your body. With age comes brittle bones and all that you know. JUST what you wanted to hear I'm sure! Such lovely creations! 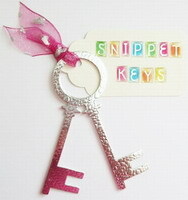 I find the embossed one especially stunning! You (and Hammy) have been so busy, too!! Great compilation of cards!! Love the embossing on different colours of cardstock! I'm not ready for Christmas.... too much to do at work. I'm dreaming a retirement, but I have to wait almost 10 years!!! Argh!! Hope you feel better now. Here we say that there are weeks (days) with and weeks (days) without. Love all your wonderful QCAS cards with this gorgeous embossing. I have to keep this in mind for next year. Thanks so much for sharing and for playing along at Less is More. Sounds like a crazy week for ya, Darnell! I hope you get to feeling better and that things are improving around the house for you, too! Your cards are just gorgeous!! You take good care, hugs!! Drats, so sorry you've had a week of problems and this is definitely not a good time to take a fall. Hope you are feeling and moving around better. I'm amazed at all your cards--all are beauties! Be sure to be careful and take it easy! Hugs!! Your cards are all so beautiful, Darnell! You did an awesome job with your batch cards! It's neat to see them all lined up in a row! So sorry about all of your troubles - those ants really creep me out! I hope your back will be better soon! My heavens, you've had a rough week! Hoping things get much better for you! Happy Holidays to you and your family! Sorry to hear of your woes. I also have had a helluva week - I really must try your potato-drink remedy. 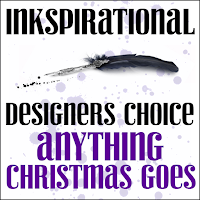 What fabulous, versatile designs you have made. 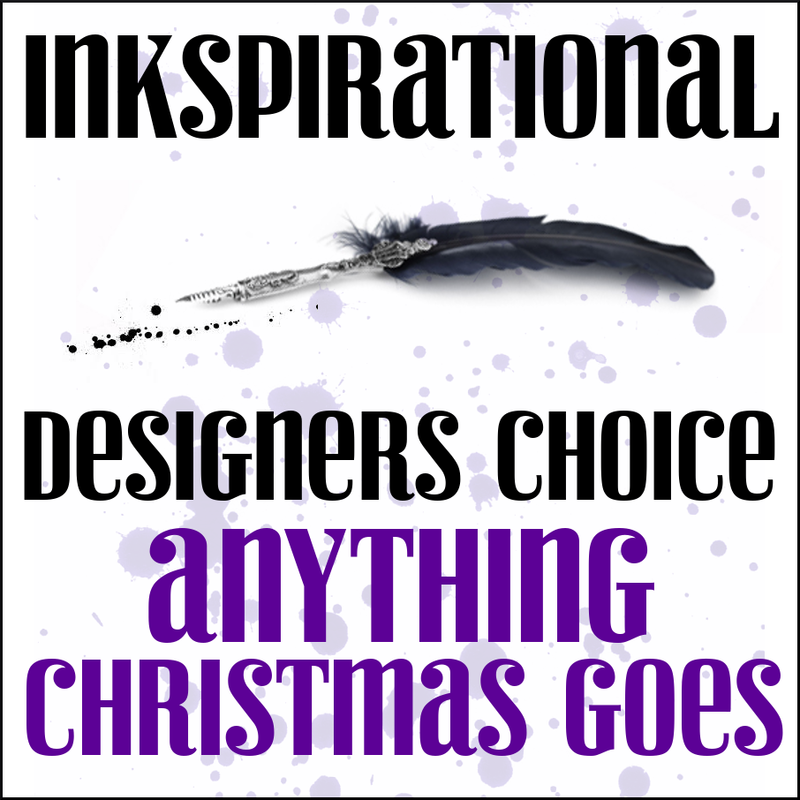 Thank you for joining us at Inkspirational Challenges. Wowsers, Darnell. What a gorgeous collection of cards you made. All so beautiful and elegant. Thanks so much for playing along at Time Out during your crafting sessions. Sorry you had a week filled of mishaps, hope this coming week will be better. you sure did mange to make a lot of gorgeous card! Sounds like you've had a right old week ..... hope the next one is better for you hun. Hope you're OK after your slip too. Gorgeous cards .... you have been busy. Love that gorgeous stamp from The Ton, they have so many beautiful designs but sadly they are so hard to get over here. Ugh - what a crazy week for you, Darnell - hope your bod is feeling better! 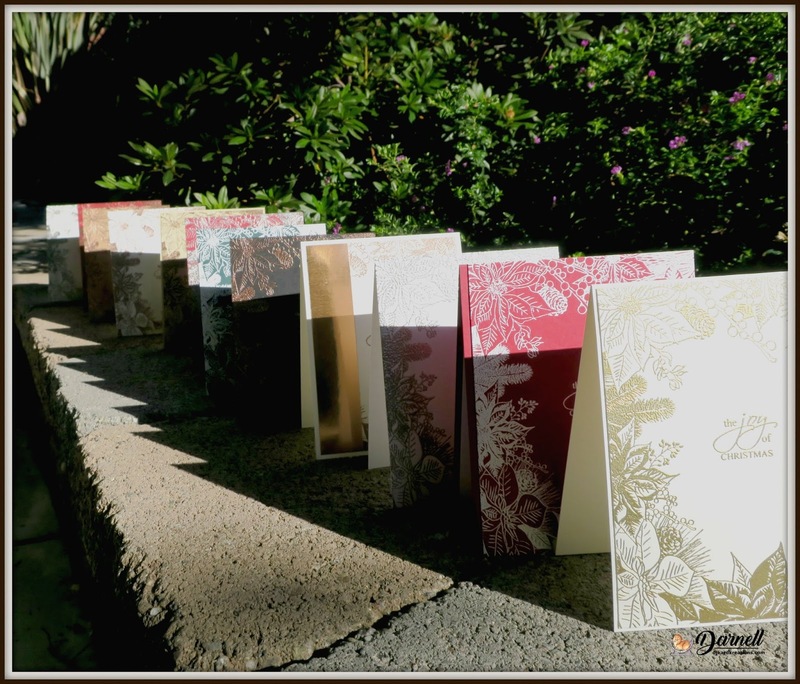 And hope your ant neighbors had a nice trip to ant heaven... Beautiful sets of cards - just love all the different colors of embossing!! Hi Darnell! I do hope you are feeling better and the week smoothed out. I must say your beautiful cards do not reflect things being out of whack. 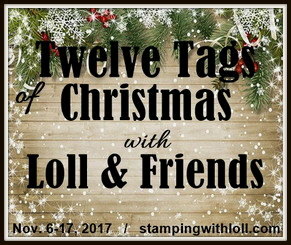 I love the heat embossing and you picked such gorgeous stamps to emboss and in such wonderful colors! Hi sweetie, so sorry to hear you hurt yourself, you really do need to watch out for where Hammy is skampering (mmm I think this is misspelt or a word I made up. Anyway jokes aside do be careful my friend as we get older we get more fragile. The dripping tap -----ahhhI can image as its much the same here where the curses get longer and the ranting well best not repeated. Oh no--I hope you're not feeling that fall more now! We gotta be careful! The stamp from The Ton is a stunner! I actually got one similar this year from HA & need to use it more & post what I've made. Still working on getting cards in the mail. Yours are beautiful & I love that one came to me! Wishing you a wonderful holiday, my friend! Now if you had been on the vodka it may not have hurt so much! Heck! I hope you are feeling better... Gorgeous gorgeous cards and I love that stamps by the Ton... Have to check that out. Thanks so much for my lovely Christmas card too! Have a safe day! A lovely batch of cards Darnell. I love heat embossing. Oh my, what a week! Hope the coming one will be much better! What a shock to find more address labels and being out of cards! Good for you and Hammy to just turn around and crank out more beauties! I am keeping my fingers crossed that this week will be downright boring, hehe! Oh what a week you've had! I really hope you are on the mend. I did my back in last week moving the evil sofa of doom, which we are now selling very cheaply on eBay as it's done my back in twice. I can highly recommend Pilates for being amazing at helping all maner of injuries! Batchin it is a funny term, but it is so fitting! Each and every one of these is stunning! Ack! What a week! I'm pretty sue I'd have given up on it and spent the rest of it safely on the sofa with a pooch and a long book! How's everything feeling after the wrenching of extremities? Not fun! I am with you on the ants. Usually they're a nightmare here in the summer but for some reason this year they've switched it up and have been impossible to corral the last couple of months. I hate having to spray them due to the fumes but sometime you gotta show them whose boss! We also had to close off the (ANCIENT) heater vent in our bathroom wall as suddenly cockroaches and giant centipedes have started using it as an entrance to the house. (We've had this house since 1980 and it has never happened before). Thankfully Ella's letterbox is stationed below it so they fall in there and can't get out due to the slippery plastic sides. Oy vey. You're batches of cards are as yummy as batches of cookies and look gorgeous lined up in the sun. I hope this week is full of sunshine, rainbows and perhaps a lottery win - you deserve it after last week!! Wow, for all those catastrophes, you certainly got a lot done. That is a beautiful stamp and all the variations you did with them...one as gorgeous as the next. Thanks for sharing these with us at Double Trouble and Three Amigos. so simple, so elegant, so beautiful! thanks for joining the lost coast design challenge and happy holidays! 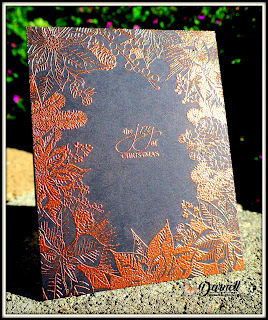 What an impact simple heat embossing can do with the right image. The frame stamp is gorgeous and I have the botanical one but never thought to emboss and just color the berries. In my memory box for next year to be sure. Sorry you had a few days of misadventures. It's been a week so I hope you're back to normal. Thanks for joining the Lost Coast Challenge. 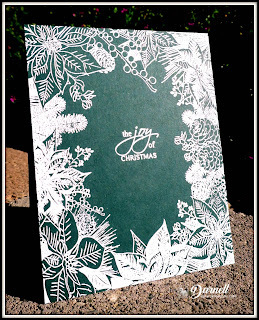 I like the different looks you did with different embossing. What a great idea. Well... I'm very impressed that you managed to get all of these done with the week you've had! Beautiful cards all of them and what great quick designs! Thanks so much for playing along at Three Amigos! WOW what a week. I hope things have settled and you are OK after your slip. It certainly doesn't look like it effected your card making such gorgeous cards (maybe the wodka helped!). Wow! And I thought my week was toast! Hope your torso and extremities are doing well again - and stay healthy!!! Two great cards, and I can totally rejoice with doing the "cookie cutter" cards for fast production!